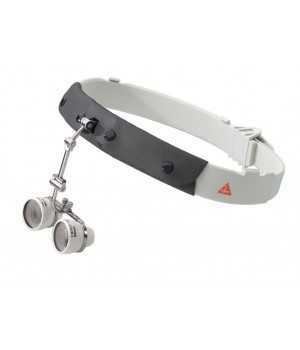 The cost-effective all-purpose loupe, Ideal for dental laboratories and general medical examination. Super lightweight and comfortable – only 46 g. Flexible coil temples wrap-around to fit the user’s anatomy securely and comfortably. Spring-loaded temples will adjust to the user’s anatomy. Lightweight Headband. consult your eye care provider.